*Incognito ~ It has long been noted that the role of a true artist is to use their art as a vehicle for change and to shed light on the times. 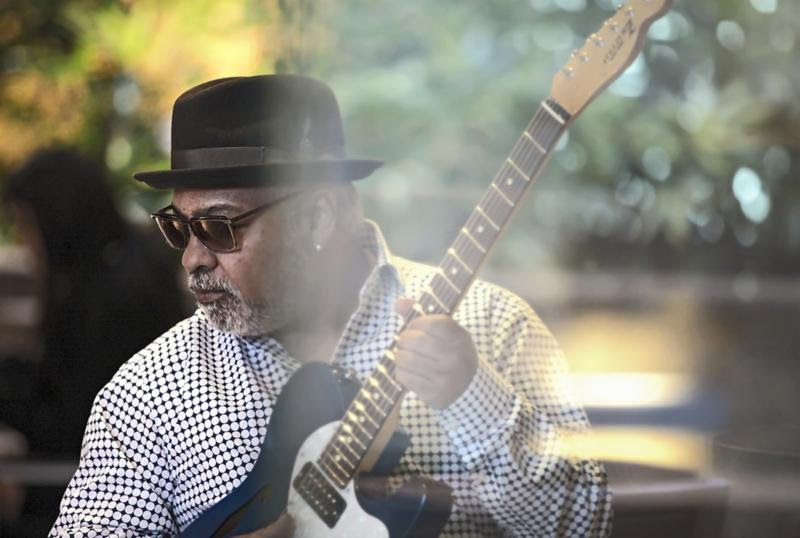 Marvin Gaye asked “What’s Going On” and Stevie Wonder urged us to get on “Higher Ground.” The prolific and pioneering UK singer, guitarist and producer, Jean-Paul “Bluey” Maunick, has been asking the questions and singing the songs for decades. In Search Of Better Days and his music remains his weapon. While he continues to raise us to our feet with his downright funky and insatiable grooves, he also elevates our consciousness with his poignant visions and dreams. “We are living in troubled times and I see the plight of the young in my neighborhood, the refugee crisis in London and all over Europe. Corruption. Child abuse. There is political, religious and financial misguided ideology all around the globe,” expresses Bluey, the mastermind behind Incognito. Incognito’s anticipated 17th studio album is steeped in deep, rich history, bridging the classic sounds of the past and the tonal and sonic languages of the present and future. The songs on In Search Of Better Days are songs of love and awareness, that question and challenge and that deliver optimism, joy, and hope. Incognito plans to tour the US in the Fall but until then you have the soundtrack to put you on the road to better days. The creative force behind Incognito, the preeminent funk/jazz/soul/dance outfit in the world, Bluey, pioneered the ‘acid jazz’ movement and laid down the blueprint for the neo-soul scene to follow. At a time when drum machines and sampling dominated the airwaves, Bluey and Incognito reminded us of the sheer beauty of the human soul and instrumental virtuosity. As a producer, songwriter and musician, Bluey has collaborated with a who’s who list in music including James Brown, Stevie Wonder, George Benson, Chaka Khan, R. Kelly, Leon Ware, George Duke, Phillip Bailey, Steve Gadd, Maxi Priest and countless others. The sound of Bluey’s London for over three and a half decades weaves its way throughout In Search Of Better Days and gives it flesh, with splashes of Drum & Bass and Broken Beats, Rare Groove, Deep Soulful House, and even influences from the Rock and Blues that were at the heart of the UK scene in the late ’60s and early ’70s. From the driving bass of featured guest Stuart Zender (original Jamiroquai bass player) on the opening track, you know that this album is upping the ante and it’s going to be one hell of a good ride! Imaani, Vanessa Haynes, Tony Momrelle, Katie Leone, Vula Malinga – the UK’s finest and most soulful voices hit you relentlessly one after the other with songs that will remain with you from the first hearing. And as if that was not enough to make this one of Incognito’s best albums, in comes American chanteuse extraordinaire – Maysa- aka “the voice of Incognito” – to seal the deal! Highlights on In Search Of Better Days include such message oriented compositions and real stories of love, loss and revelation as “Love’s Revival,” “Moving On Up,” “I See The Light,” “Echoes of Utopia,” “All I Ever Wanted” and “Everyday Grind,” Bluey’s favorite. He shares, “Everyday Grind’ is the freshest thing I’ve done in years. Sonically it’s the sound of the London I know in combination with my favorite voice on the planet -Maysa. I was instantly inspired to not only write, but to sing. She is an amazing talent!” Also highlighted on the CD is drummer Richard Spaven, cosmic percussionist Jody Linscott, and Japanese guitar legend Tomoyasu Hotei of Kill Bill fame. These fine artists combine to take the band to a new and higher high! The whole thing is beautifully catalogued, blended, and sonically gift-wrapped by sound engineer Mo Hausler. As Bluey continues blazing his own trail with his ever-expanding community of all-star artists, fueled by a passion for storytelling and creating unity through the Groove, Incognito’s In Search Of Better Days surely takes us there. I am so excited! Anything by Incognito works for me. Bluey and Maysa collaborating again, YES! Oh, I am so buying this joint. I hope I can see them when they come to the states. Thank you Bluey and Company. Keep it coming!